Americans waste a ton of food. Like one in four bags of groceries, according to Consumer Reports. What’s more surprising is how much money we’re losing on all that food waste: For a family of four, it adds up to about $1,500 a year! That’s basically a week on the beach. So if you find yourself tossing out more wilted celery or way-past-the-expiration-date greek yogurt than you’d like, we have a simple plan to help! Here are six steps to saving more food and more money. 1. Write down what’s spoiling. At the end of each week, write down everything you tossed out. Then put a best-guess dollar amount next to each item—half a bag of lettuce $2, three oranges $3, two avocadoes $2, etc. How much did you waste? Ten bucks’ worth of food? Twenty? It helps to think of that unused arugula and applesauce in terms of their cash value. 3. Shop your fridge and pantry first. This isn’t exactly a new idea, but it’s a smart one all the same. Evaluate what you have in your house already, like spices, pasta and frozen veggies. Then base at least one meal a week around something you already have, or can easily beef up with a small purchase. This will cut down on food waste and money waste! 4. Make a detailed meal plan. Your goal is to use everything you buy before it goes bad. Since most fruits and veggies spoil after a week, it makes the most sense to plan exactly what you’ll be eating when. That may sound restrictive, but it’s actually a life-saver because it removes all the stress of thinking up meals at the last minute. And as you’re writing your list, don’t forget about breakfasts, lunches and snacks! Try not to rely on your instincts at the store—write it down and stick with it. 5. Preserve the food you buy. The longer your food lasts, the more time you have to use it—and the less of it you’ll end up trashing! So when you get home from shopping, take a few extra minutes to store your food properly. Wrap your lettuce in a damp paper towel to keep it crisp. Don’t wash fruit until you’re ready to eat it. And put ripe avocados in the fridge so they don’t spoil. Simple but savvy. 6. Freeze any leftovers. Inevitably there’s something you still haven’t used by the week’s end. We get it. That’s okay! If you have a few bell peppers that are about to go bad, chop them up and freeze them for another meal. If you have leftovers from lasagna night, freeze them for a quick supper next week. And if you have half a loaf of bread, pop it in the freezer for some French toast on the weekend! The freezer is your new best friend. As the amount of food you save each week increases, the cost of your grocery budget each month will decrease. 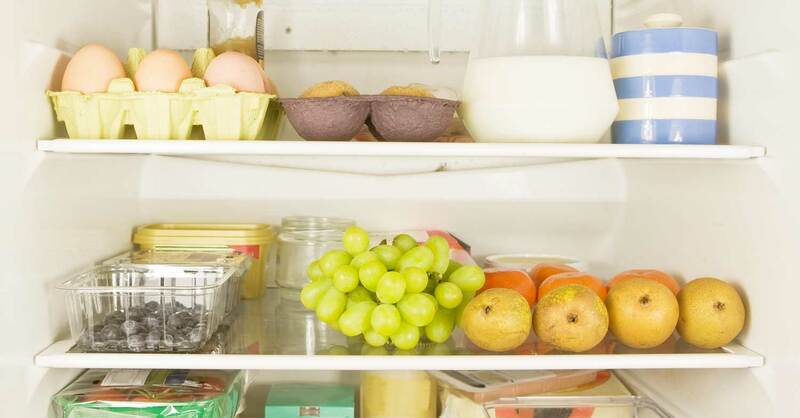 So start these six steps today and you’ll be a food-saving machine in no time! Then you can pocket that extra cash for whatever you want. Maybe next year’s vacation? Start saving money on your groceries with an EveryDollar budget. You’ll be able to keep track of what you’re currently spending on food and adjust how much you want to spend in the future! It’s free to set up and takes less than 10 minutes!